Here are some tips for saving energy and water while doing the dishes. Soak or pre-wash only in the cases of burned-on or dried-on foods. Don’t use the “rinse hold” feature on your dishwasher when you only have a few soiled dishes. Overall, dishwashers use less water than washing dishes by hand. For a full load of dishes in the dishwasher, washing the same dishes by hand would typically use at least 6 more gallons of hot water. Look for dishwashers with internal booster heaters, so that you can set your water heater thermostat at 1200 F (rather than 1400 F or higher for dishwashing purposes). Most new dishwashers have this feature. Look for the ENERGY STAR® label when purchasing a new dishwasher. New criteria went into effect on January 1, 2007, which made ENERGY STAR® units more than 35 percent more efficient than baseline units. New federal efficiency standards for standard-size and compact dishwashers took effect on January 1, 2010. For standard-size units, the efficiency standards are 6.5 gallons of water used per cycle and a maximum usage of 355 kilowatt-hours per year. Some of the kids at Beachwood High School sent us this cool company’s website. We checked it out and it is so great that we wanted to share it with you. It is called PrintReLeaf. The idea is to offset some of the trees used in printing from your local computer… It is a great idea, check them out! As a consumer, every time you click “print”, you are consuming paper. 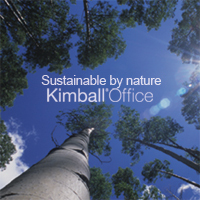 The source of paper is our planet’s trees and ultimately, our forests. So the solution is simple: for every document (piece of paper) you consume, printreleaf will reforest it by planting trees to offset all of your paper consumption. There are varying beliefs on how many pieces of paper can be sourced from one tree. This is understandable because trees vary in size, shape, age, and quality of fiber. Additionally, paper will range in size, texture, weight, and finish. To keep this simple, we are using 20lb bond paper as the standard benchmark for determining how many prints we need to reforest for each customer since the majority of documents produced in a traditional office environment are printed on 20lb bond paper. From all the formulas we have researched and respect, we have opted to reforest at a level consistent with the mean of all formulas. If you regularly duplex or use paper with a percentage of recycled content, then the trees reforested in your name, or your company name, will exceed the number of prints (and trees) you actually consumed. If this is the case, we will still remain true to our formula and commitment as we only see this as a benefit to the planet. To determine how many prints a customer has consumed and require reforestation, we will report on how many pages are specified by the manufacturer’s yield as indicated on the ink or toner cartridge package. For example, if you purchase a toner cartridge that specifies 10,000 page yield, then we will reforest all 10,000 pages. We are committed to this number because against average industry consumption, most customers will never consume the actual specified yield. The 10,000 page yield is based on 5% page fill per sheet of paper, even though industry average is closer to 8% to 10%. By committing to the 5% level we feel we are being conservative and not shortchanging any reforestation efforts. All reforestation contributions will be performed on an annual basis. We calculate your total print consumption and, in turn, your reforestation debt as of December 31st. Upon calculation, we will purchase the required number of trees from a certified agency who will provide a certificate of donation by printreleaf in your name or your company’s name to officially quantify your reforestation.